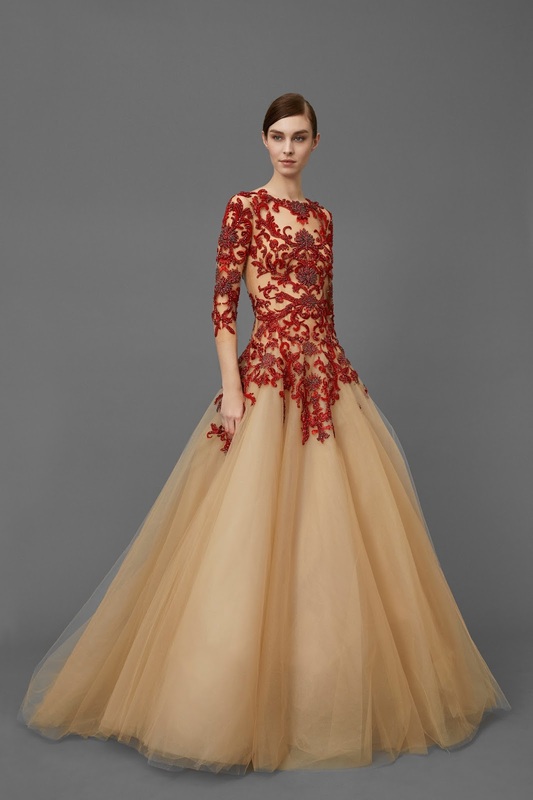 I had to write about a Marchesa collection when I saw the beautiful gowns that were designed by Georgina Chapman, graced the red carpet at the Golden Globes 2016. They were mesmerising, beautiful and captivating. 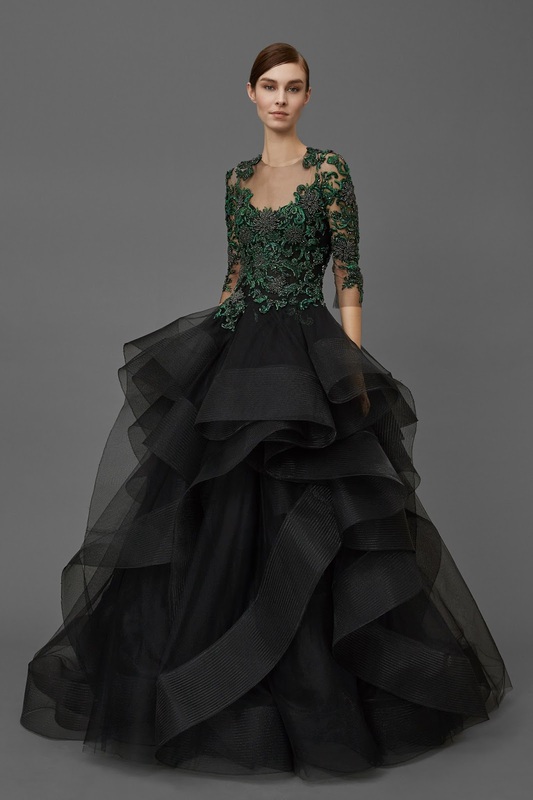 A personal favourite of mine on the Red Carpet was worn by Zendaya, from this exact Pre-Fall collection. Georgina Chapman herself actually attended with Zendaya, and she looked like a goddess. The dress was burgundy with three tiers, as I would describe it. She teamed the look with power brows and natural makeup, polishing off the look with gorgeous diamond earrings. Zendaya looked absolutely gorgeous in this design and it was most definitely one of my favourite looks of the evening. It was her first Golden Globes too, so it was the perfect statement dress to say, look I am here and I am ready. It was truly lovely. Zendaya wearing Marchesa Pre-Fall 2016. When I saw the looks that Georgina had created for the red carpet, I knew then and there that Marchesa had obtained another fan. 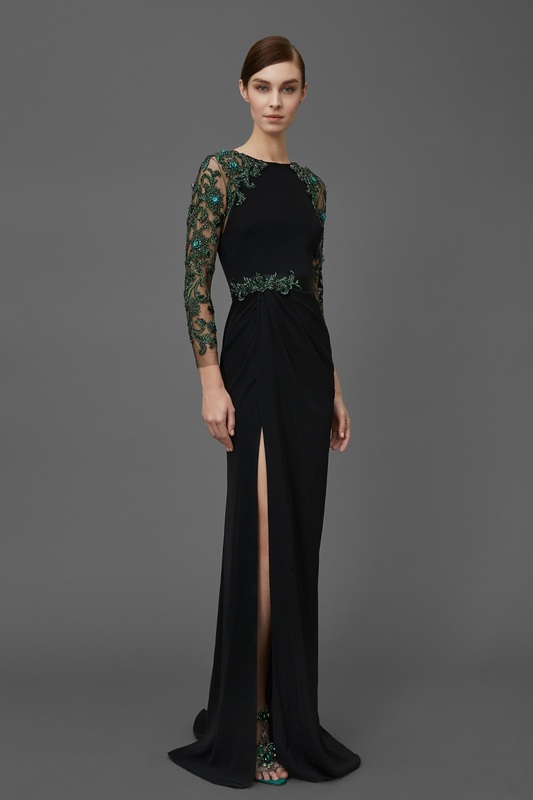 I do love the beautiful gowns that the luxury designers produce, and a particular favourite of mine is of course Elie Saab. 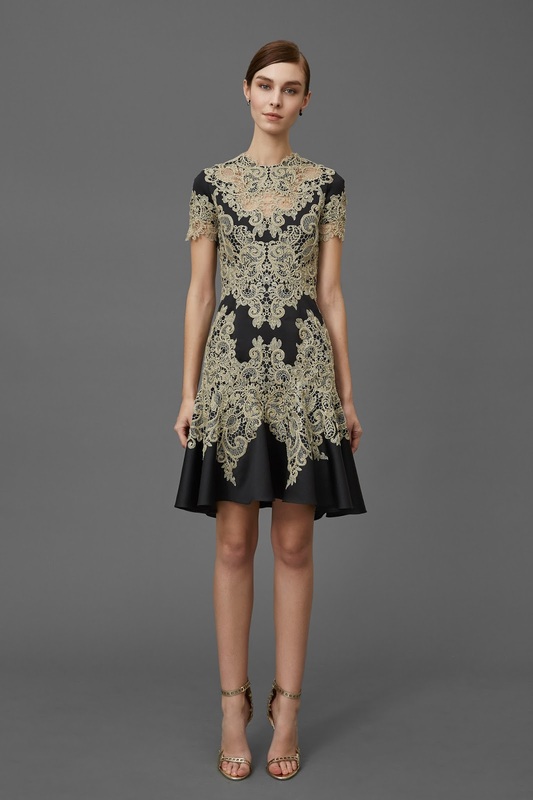 However, I feel that Marchesa are becoming my favourite. 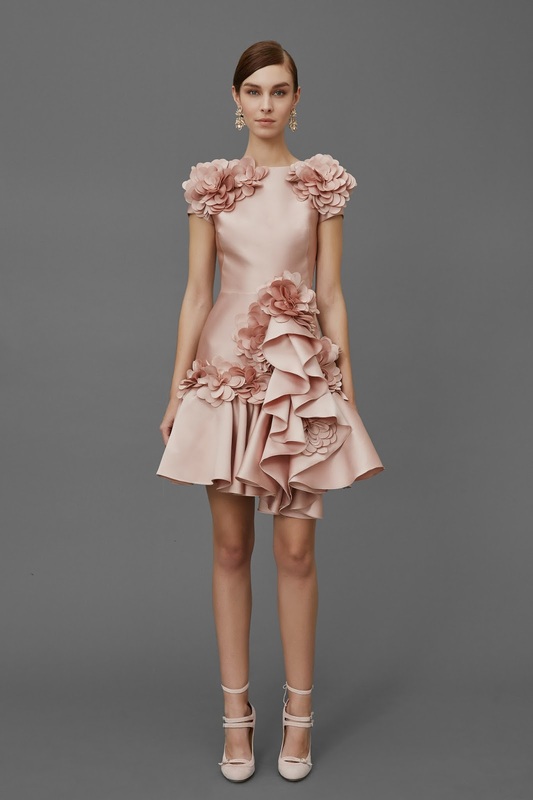 As from this collection, it is evident that the inspiration is to make women feel like princesses, to feel and look the best version of themselves they possibly can. 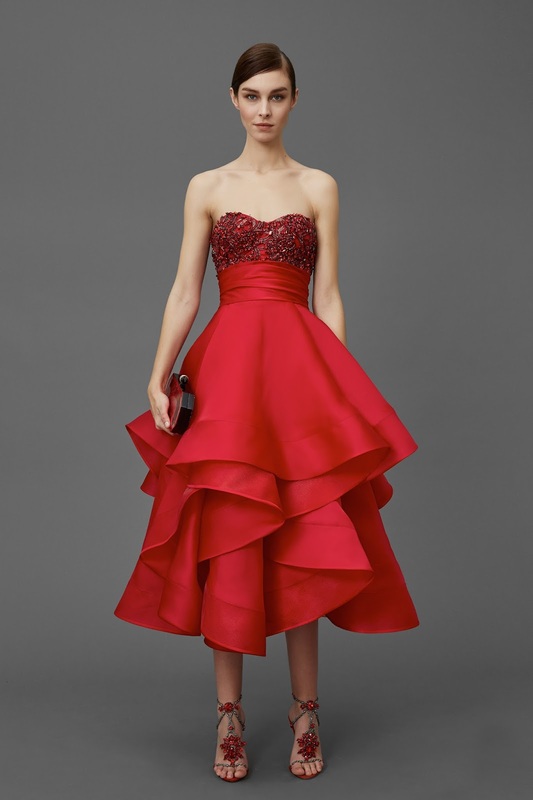 When I was scrolling through the collection before I wrote this post, I was visualising the gowns on future red carpets and even what celebrities would be wearing them. I am certain that this collection is going to make so many appearances over award season, and of course a future celebrity events. 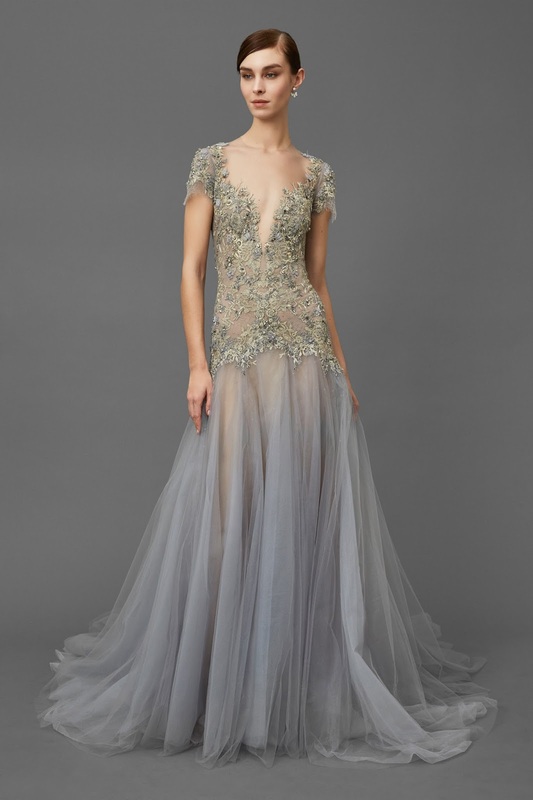 "We brought it back to our namesake" is what Georgina Chapman said when asked about the collection. She is the co-creative director of the fashion house, alongside Keren Craig. 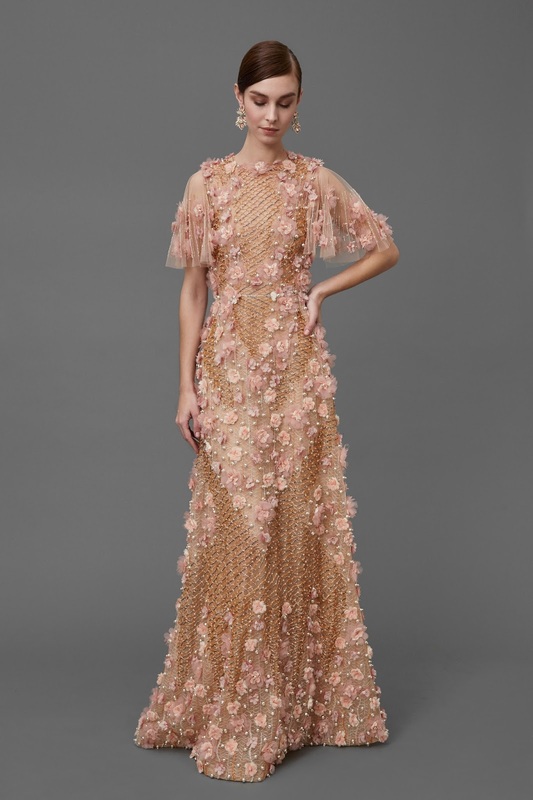 By this statement, she meant that the inspiration behind the collection was the ever so beautiful Marchesa Luisa Casati, who was an Italian heiress and muse. In 1930 it was said that she had a personal debt of a staggering $25million. So, she auctioned off her personal possessions and Coco Chanel was apparently a bidder on these items. If Coco Chanel bidded on her possessions, then obviously she was a very respected woman. Luisa Casati also famously said, "I want to be a living work of art", and evidently that is exactly what these gowns are - works of art. Each look was heavily, yet impeccably embroidered. 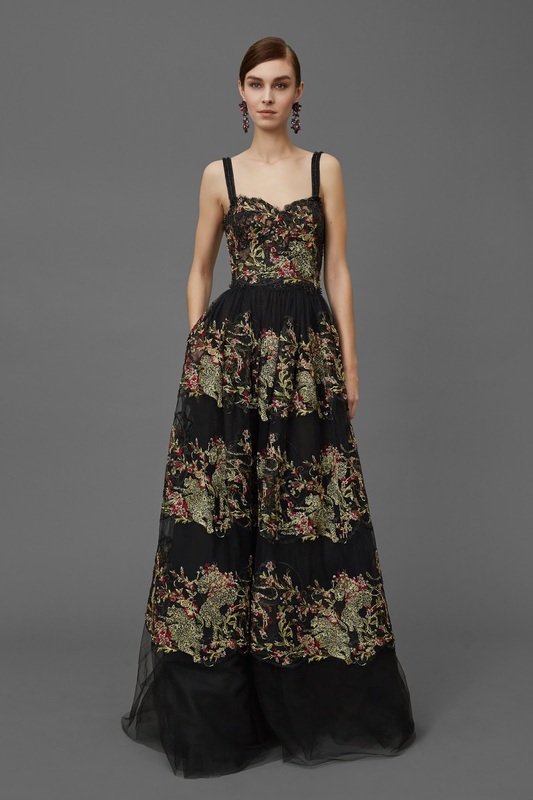 The creation, work and time put into each of these looks was noticeable and credited by many of the industry, and I think that is why Marchesa is so popular for making women feel beautiful. There were so many types of gown included in this collection, and even appearances of some jumpsuits which I wasn't expecting. 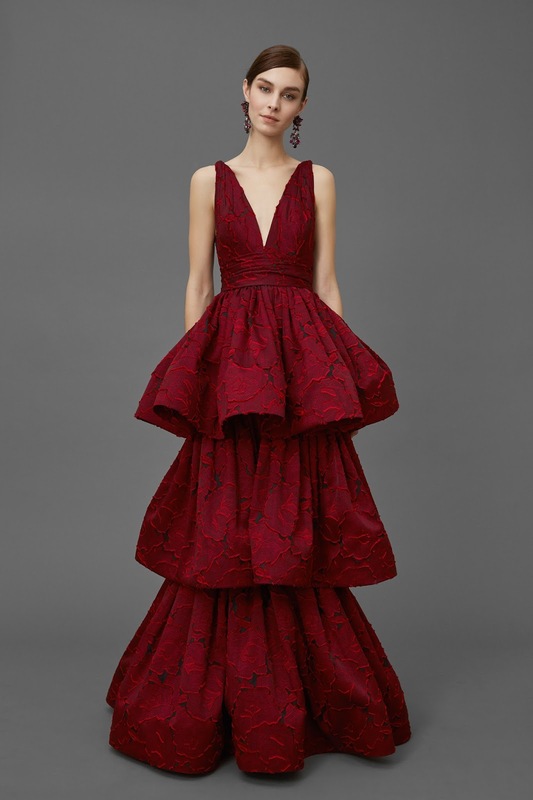 The first look of the collection was a beautiful red cocktail dress which was heavily embroidered around the neckline and finished just below the chest. 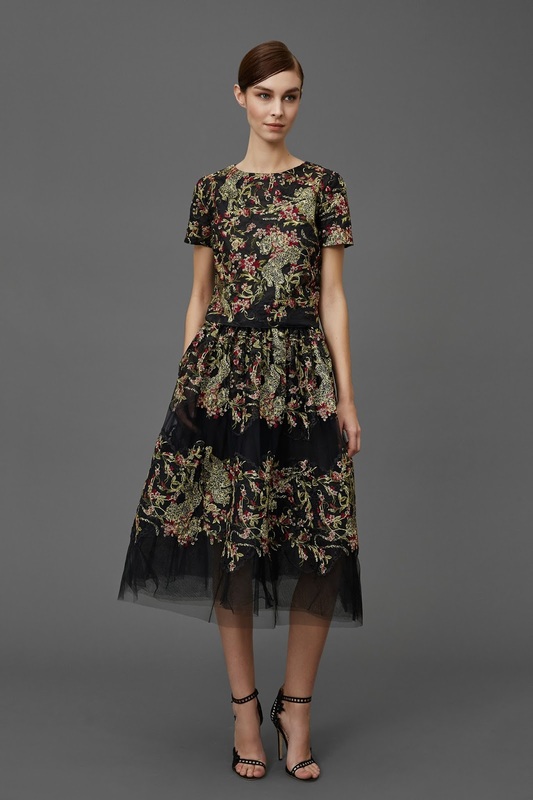 The third look was perhaps my favourite of the collection - I can see someone like Rooney Mara wearing this dress. 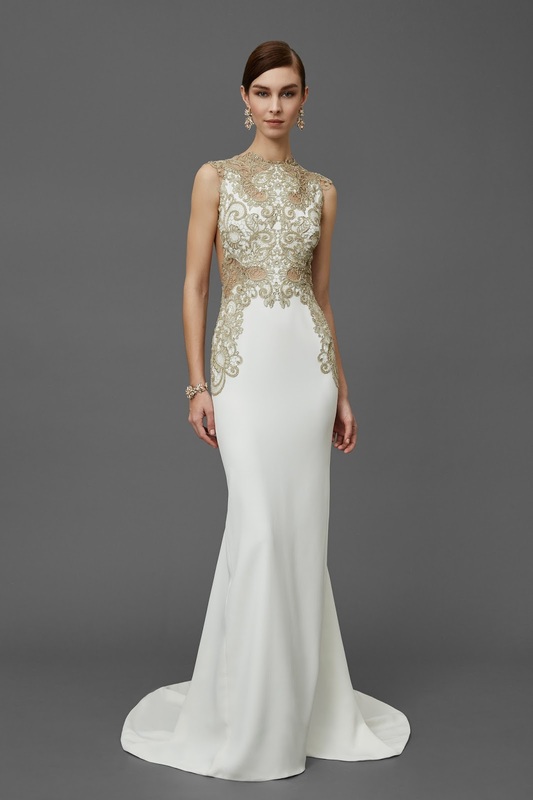 the stunning embroidery on the torso which faded into the bottom of the dress was mesmerising. I loved the red and cream contrast, it was truly a magnificent piece. Following from the embroidery there was of course feathers, ruffles, lace and crystals. Every aspect of a luxurious formal look was included and that is why I loved it so much. There was such a variety of looks that together, created one of my favourite collections this Pre-Fall.